REHOME Your Horse - L.E.A.N. We get many inquiries from people seeking to rehome their horse. All Vegas Horses/L.E.A.N. is not a ranch sanctuary and we only take horses from Animal Control. These animals have no one to help them and we are their last stop before auction or euthanasia. If you own a horse you can no longer keep, PLEASE click the following link: REHOME YOUR HORSE.There are many things you can do to successfully rehome your horse. We strongly suggest you follow the author’s steps and advice at this link to give your horse the best chance at a new life with a loving family. After receiving your information below, we will need digital photos of your horse(s) emailed to allvegashorses@gmail.com so we can produce your marketing flyer. Please click below to list your horse with the HAHNAH Project – a database created to help people interested in adopting a new horse to find private owners needing to rehome their horse immediately. This is not a listing service for horses for sale – please submit your horse’s information (use one form per horse) if this is an urgent need to place your horse immediately due to unforeseen life circumstances. We will forward your information (“Has A Horse”) to adoption applicants in our database (“Needs A Horse”) for whom LE.A.N. does not currently have a horse to match. In this way, we hope to help facilitate more horses finding forever homes. The HAHNAH Network is an All Vegas Horses community referral service to help reduce the number of Unwanted horses. 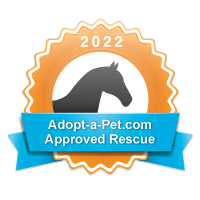 By submitting this application to list your horse(s) in the database, you agree to your contact information being shared with potential adopters. Further, you understand that the HAHNAH Network is a courtesy sharing of information ONLY; AVH/HAHNAH has NOT prescreened potential adopters and all due diligence is upon you, the Owner, to choose a safe and qualified home for your horse. All Vegas Horses, LEAN, and The HAHNAH Project assume no liability as to the suitability of any referral.